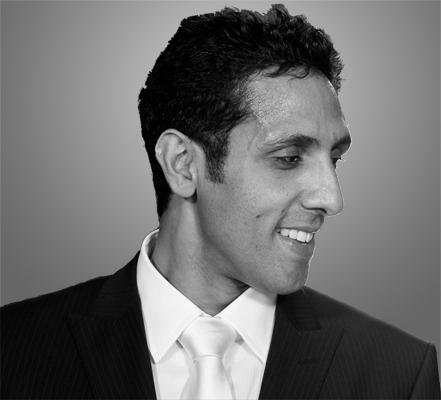 Raman is an Invisalign Platinum Elite Doctor, Clinical Speaker and a key opinion leader for Invisalign. He has been an Invisalign provider since 2008 and has treated over hundreds of Invisalign cases to date. Raman qualified from Birmingham Dental School in 1998. He has passed examinations with the Royal College of Surgeons and has a Masters in orthodontics from the University of Aarhus, Denmark. Raman has written and contributed to numerous publications and orthodontic literature. He writes the master class series for Orthodontic Practice to showcase treatments requiring orthodontics and aesthetic dentistry. Raman works closely with many referring dentists to offer patients a complete and comprehensive treatment care plan.The aim is to provide clinical excellence in a relaxed, comfortable and professional environment. Dr Barry Buckley runs a cosmetic clinic outside Dublin. His clinical time is divided 50% between cosmetic dentistry and Invisalign and this allows him to treat cases with a multidisciplinary approach. He worked as a clinical tutor with CCADS (Californian centre for advanced dental studies) and as such has a lot of experience with full mouth restorative care. Since 2003 he has worked with all short term orthodontic appliances including the Inman Aligner and 6 month braces but now works exclusively with Invisalign. Dr Buckley is a clinical lecturer/tutor with Align and is one of the most experienced providers of all time in Europe with 1750 cases completed to date. In April 2012 he set up the company clearbraces.ie, an amalgamation of 8 different dentist spread throughout Ireland with the aim of developing a national brand and creating a reputation for world class Invisalign care. In the time that has passed they have started 5000 cases making them the number 1 Invisalign account in Europe. Dr Buckley provides both clinical and management support to the network of dentists in the group who are all G.P's and had no experience whatsoever in any form of orthodontics before they started. On average they each now do more than 100 cases per year. 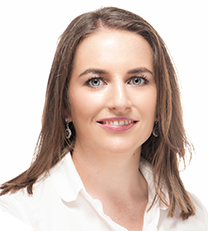 Dr Eibhlin O’Leary is a specialist orthodontist with extensive knowledge of invisalign . Andy is a Platinum Elite Invisalign Provider, completing over 500 cases since 2007. 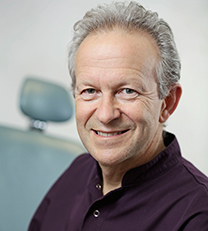 He has been providing removable and fixed appliances since 1981 and now treats patients exclusively with Invisalign in 4 practices in the East Midlands. Andy has been a Clinical Lecturer for Align Technology since 2011 and has trained hundreds of GDPs in the system. He gets really excited helping practices make the most of the incredible Invisalign system, creating results patients love. Since 2013, Andy (along with Jane Walker) has also helped 12 practices and their dentists grow their Invisalign service from zero to over 500 cases in 3 years. This involved support for their clinical, team development, clinical governance and business requirements; helping to create an ethical and profitable Invisalign practice. Andy says, ‘If trained properly, I have found teams from all around the UK really enjoy seeing their Invisalign patients, often developing a lasting, professional relationship. Invisalign is the most comfortable and least invasive way to improve someone’s smile’. Andy was the first GDP in the UK to gain a Master’s degree in Clinical Education (Univ. of Nottingham 1999) and has specialised in online training for dentists and team members – including webinars, online study groups and level 2-4 qualifications (the latter via his company The Dental Business Academy). In 2001, Andy became heavily involved with the FGDP(UK) in promoting practice-based research. His peer-reviewed, published research interests include consent, clinical governance/quality management and the link between occlusion and muscle function (with Loughborough University). Andy is an Advisory Board member for the Pankey Institute for Advanced Dental Education in the USA. He is a member of the Pankey UK Study Club, Chair of the Pankey UK Association and also a member of the British Society of Occlusal Studies. He is also an Honorary Senior Lecturer for the University of Kent Centre for Professional Practice, leading on Professional Standard Setting and Clinical Governance. Colin O'Hehir is a general dental practitioner who owns a dental practice in Kilkenny City in the south-east of Ireland. He graduated from Trinity College Dublin in 2004. He passed his exams of membership to the faculty of dental surgery at the Royal College of Surgeons in 2014. 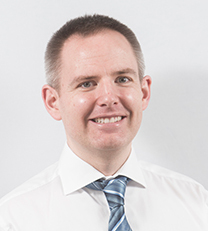 He completed a Master’s degree with distinction at the Edinburgh Dental Institute at the University of Edinburgh and also achieved his membership to the Faculty of Primary Dental Care in the Royal College of Surgeons in 2017. He is currently completing a second MSc in clear aligner orthodontics from the City of London Dental School in 2018. 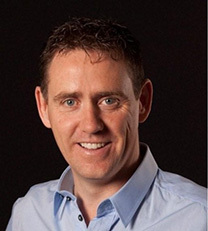 Colin is a Platinum Elite Invisalign provider, a member of the Clear Braces Ireland group and has been treating patients with Invisalign since 2008. He was the first provider in Ireland to have a case accepted on to the Invisalign global gallery and the only provider from Ireland at the time of writing. He won first prize at the first ever national Clear Braces Smile Awards in 2016 and repeated the success with first prize again in 2017.